This neatly presented and full of character, relocatable home at the Pyramid Holiday Park is located on the park perimeter. 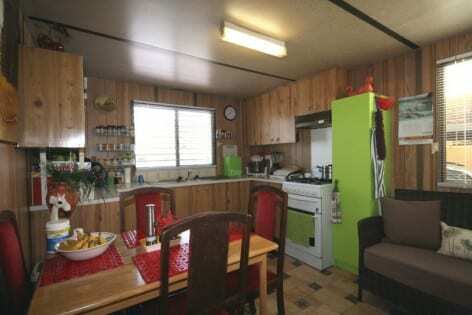 The home has an entrance porch, carpeted lounge with adjacent, vinyl floored kitchen/dining area and two bedrooms. 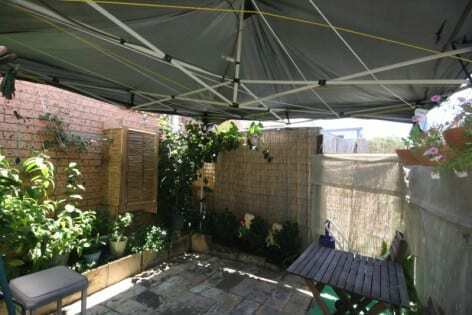 A brand new Panasonic split-system air-conditioner has recently been installed in the master bedroom and there is a second, relatively new Hitachi split-system air-conditioner in the living area. 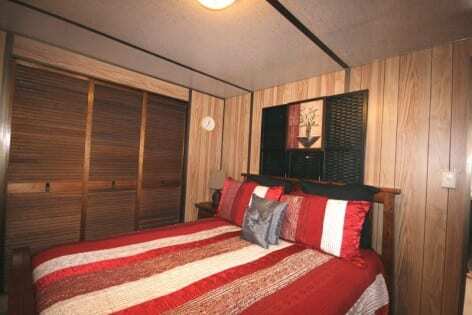 There are two carpeted bedrooms; master with built-in robe and the second bedroom has a door opening to the rear of the home and a very quaint and secluded outside entertaining area. The internal vinyl floored bathroom consists of a shower cabinet, vanity, toilet and laundry facilities. Plus, the home has an external en-suite bathroom consisting of shower, wash basin and toilet. The good-sized kitchen/dining area has a brand new stainless steel Chef gas-stove and range hood, plenty of storage/cupboard space with cream coloured laminate bench-tops/work surfaces and flat white panel doors. 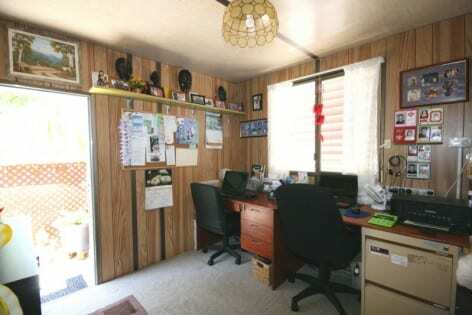 The home has a single carport, gas-fired hot water service and a large garden shed. 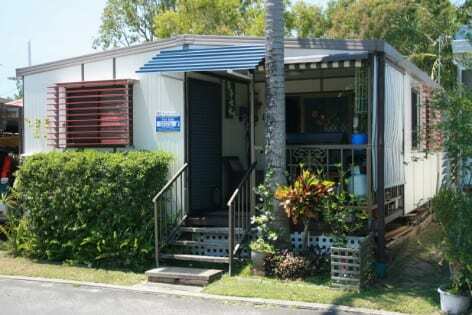 This neatly presented and full of character, relocatable home is located on the park perimeter. 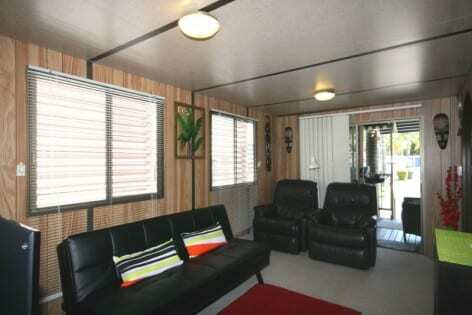 The home has an entrance porch, carpeted lounge with adjacent, vinyl floored kitchen/dining area. 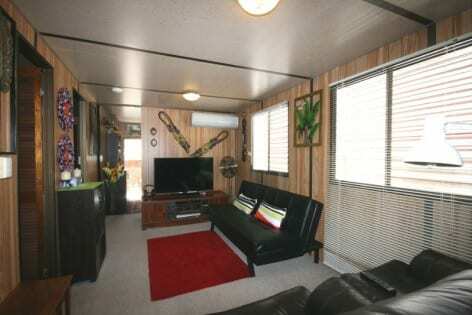 A brand new Hitachi split-system air-conditioner has recently been installed in the living area. 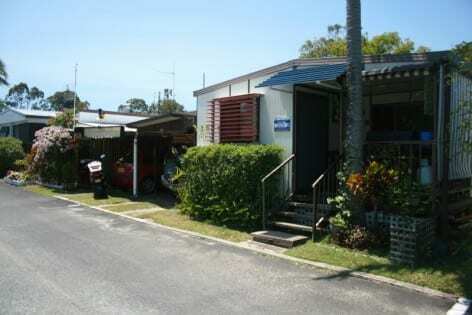 There are two bedrooms; master with built-in robe and the second bedroom has a door opening to the rear of the home and a very quaint and secluded outside entertaining area. The internal vinyl floored bathroom consists of a shower cabinet, vanity, toilet and laundry facilities. The home has an external en-suite bathroom consisting of shower, wash basin and toilet. 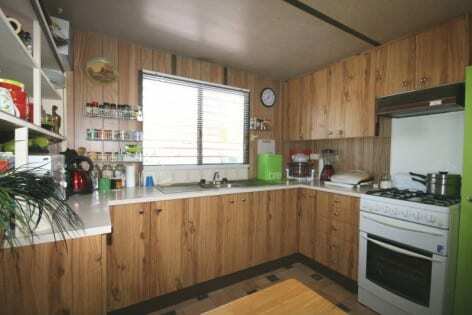 The well-proportioned kitchen/dining area has a Chef gas-stove and plenty of cupboard space with cream coloured laminate bench-tops and timber effect flat panel doors. 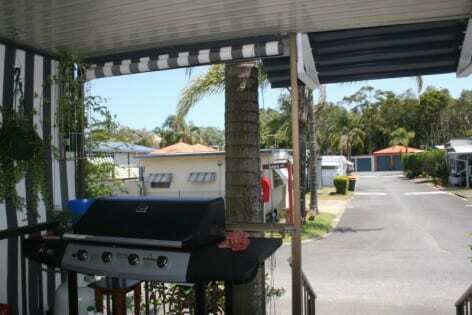 The home has a single carport, gas-fired hot water service and a garden shed.